This entry was posted on Saturday, July 19th, 2014 at 11:58 am and is filed under Curious cattle, Curious crops, Curious hogs. You can follow any responses to this entry through the RSS 2.0 feed. You can leave a response, or trackback from your own site. I like how proud you are of your “domain”. Good stewardship! Good show! Beautiful. I love the look of farming in contour strips. My father, back in the fifties in Pennsylvania, was on the front edge of that effort on our family-sized dairy farm. I wish now I had photographs of it. He had pasture, hay (alfalfa, clover, timothy, etc. 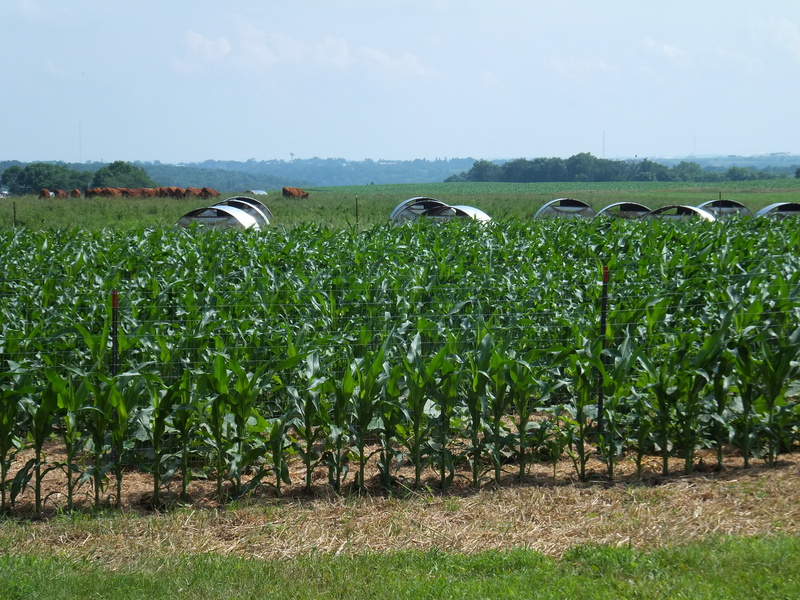 ), and corn for silage. 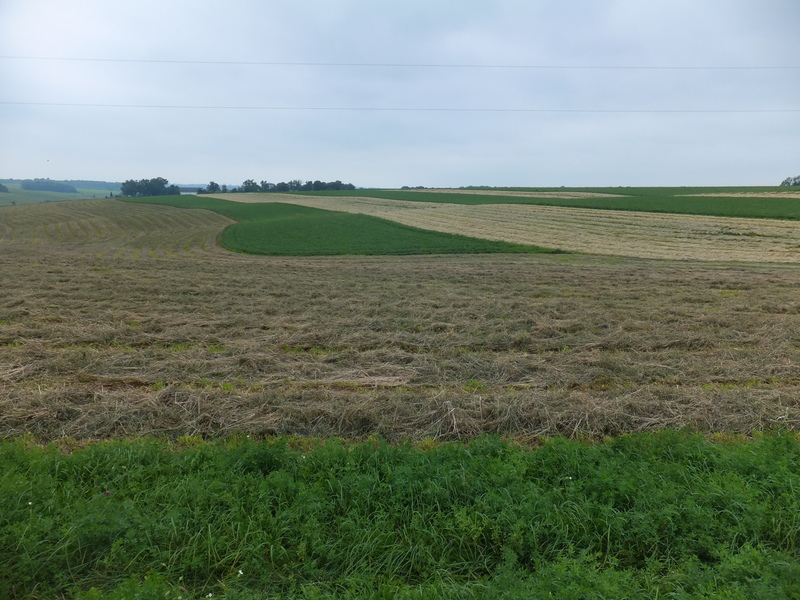 I like the look of the windrows on the contour, and then the bales. He also turned the cows out on the fields after hay was made. I enjoy your blog so much, and your farming. Thanks a lot, Chris and Betsy!